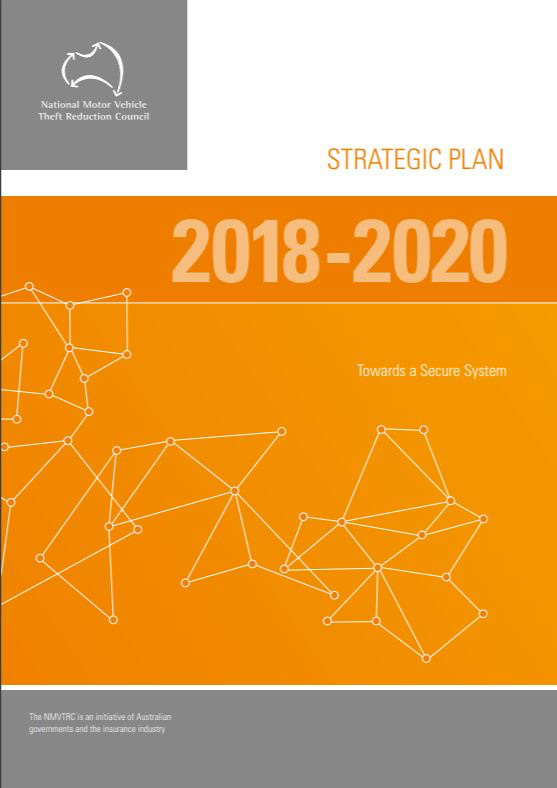 The release of the National Motor Vehicle Theft reduction Council’s (NMVTRC) 2018–2020 Strategic Plan marks the important milestone of participating state and territory governments and the insurance industry committing to extend their collaboration in the NMVTRC through to mid-2021. 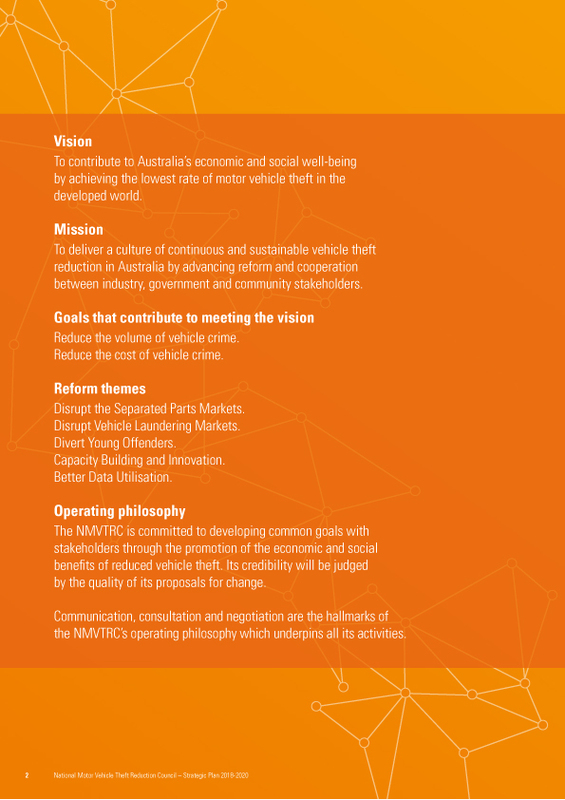 The new Plan leverages off key aspects of the Secure System approach which takes a holistic view of the dynamics of vehicle crime and the interaction between vehicle design and manufacture, motorist choices, perceptions and behaviour, offender actions, and government and industry practices. 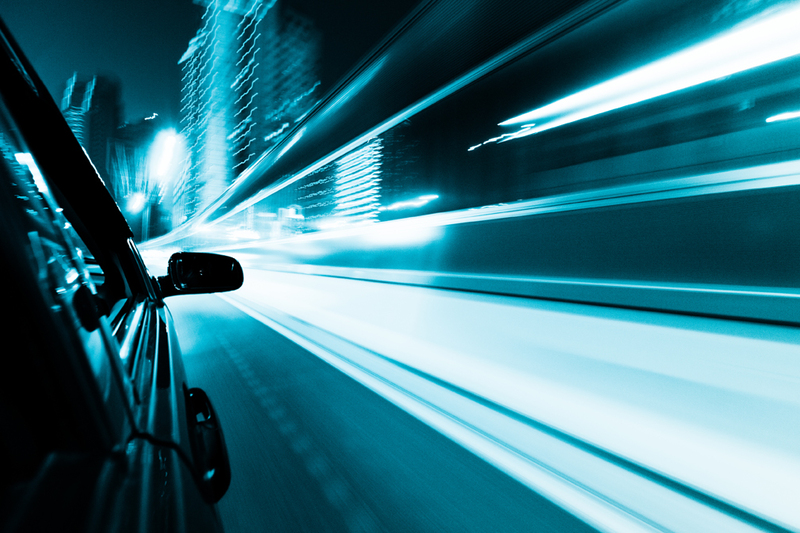 a wide variety of fraudulent activity in respect of identity and vehicle identification, finance and staged collisions. After more than 19 years at the helm of the NMVTRC founding Executive Director Ray Carroll has retired to spend more time chasing his numerous grandchildren. The Council and its executive staff are indebted to Ray for the excellence with which he led the organisation. The Council has appointed Geoff Hughes as his successor. Geoff will be well known to most of the NMVTRC’s stakeholders having led some of the Council’s most significant work in areas such as the development of technical standards, legislative reform, communications and youth offending. The appointment assures the continuity of the NMVTRC’s strategic direction with the recent release of the 2018–2020 Strategic Plan.